There have been some interesting birds around this New Year-here are a few. 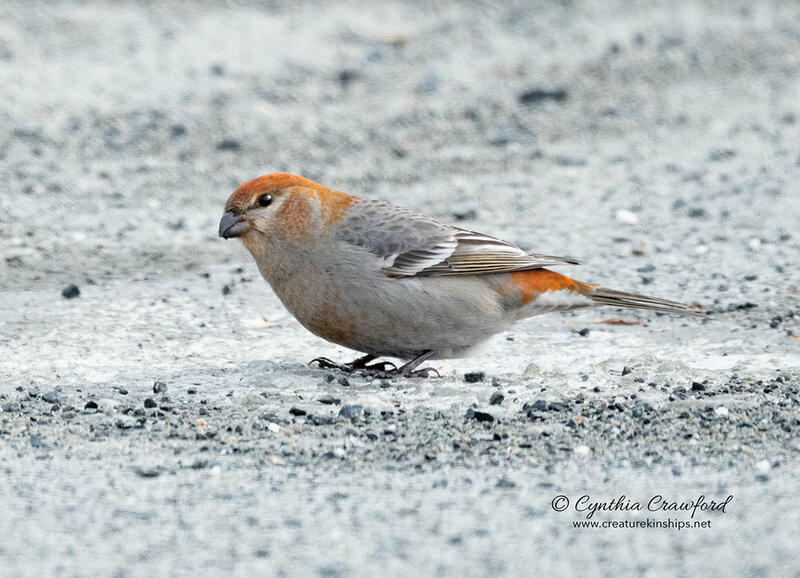 The first 5 are Pine Grosbeaks. They are an “irruptive” species- they come further south than their usual habitat when food is scarce where they usually live. 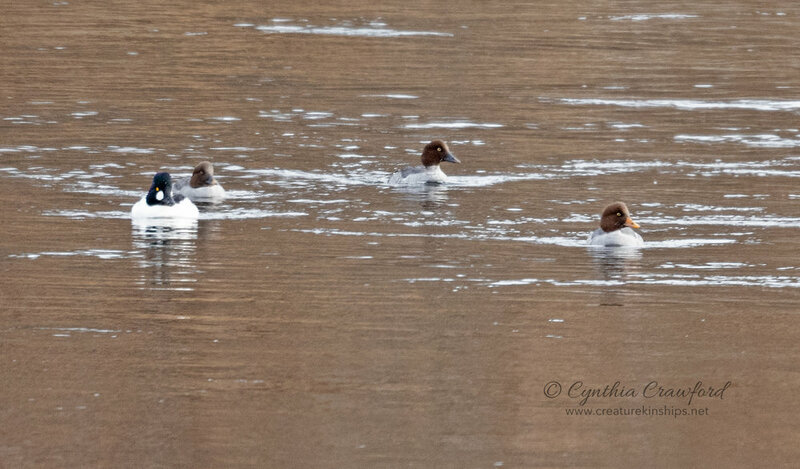 The males are deep red, females have reddish orange heads. Next is a Tree Sparrow, then a male House Sparrow, followed by some Common Goldeneyes. The male is the one with the dark head and white spot on his face. 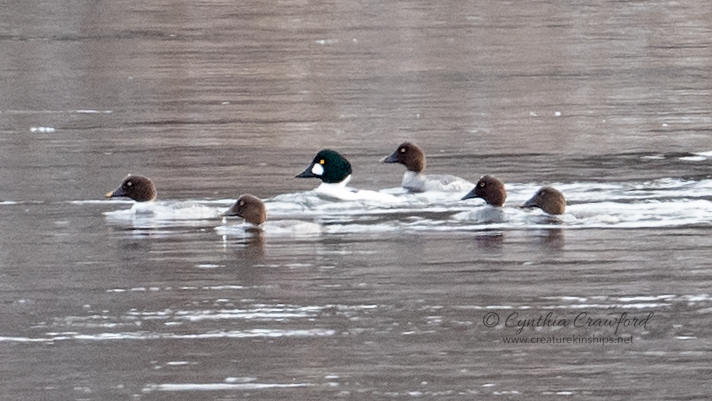 The next 2 show the male Common Goldeneye with Common Females, and one Barrow’s Goldeneye Female, which is highly unusual. She’s the one with the bright yellow beak.